Before launching your dental office, you need to decide what to call it. 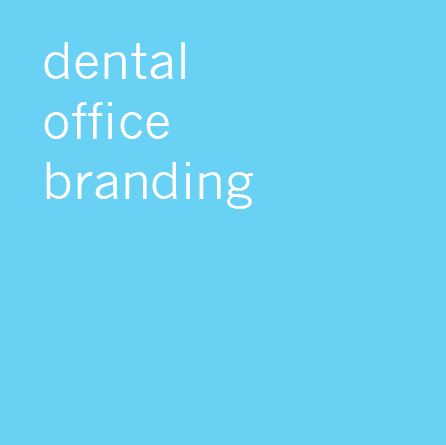 Whether you are a start-up practice or buying an established office, you have to brand your dental office with a suitable name. Unfortunately they don’t teach you that in dental school which is why we are here to help. One of the main sticking points dentists face when naming their office is to decide whether to use their own/family name or to come up with a unique practice name. There are pros and cons to both approaches and in this post we look at some of the points you should consider in this regard. Do you have family history in the same town? Perhaps one of your parents or grandparents practised dentistry in the town where you are setting up your office. Maybe your family ran a successful local business in the same town. Basically if you have an established and respected family name in the community, you can leverage that to benefit your dental office. If you find yourself in such a fortunate situation it makes complete sense to use your name as the practice name. It will give you a distinct advantage other dentists in the area. A creative, non-family name may sound and appear more attractive but if nobody in your town can relate to it then all that creativity is of no use. Do you plan to take on associates? Another point to ponder is how you plan to run the office not just in the present but in the future. Do you have any plans for adding associates? How many will there be? If you have such plans, then it is better to avoid using your name for your dental practice. This will avoid unnecessary confusion in the future and will make transition a breeze when you eventually take on associates to share the workload. Do you belong to a minority group? This one may sound controversial but as humans we tend to trust one of our own more than others – specially with personal things like oral health and hygiene. If you are an Asian dentist practicing in a predominantly Asian community, it may be beneficial to use your real name to brand your dental practice. This will help Asians in your town identify with your ethnic background and prefer your office over non-Asian dentists. However, please note that this can also work against you as well because dental patients from other ethnic backgrounds may be turned off by your Asian name. Therefore, dentists from minority groups need to account for the current and future demographic make-up of their town before using their actual name to represent their dental office. Do you plan to sell your dental office in the future? Another important consideration for using your actual name is the marketability of your practice to potential buyers. Off course this only applies if you plan to sell your dental office in the future like many dentists do. If your exist strategy in the next 5 years involves selling your dental office then you may want to avoid using your personal name to brand your office. This will make all your branding including, logos, bill boards, marketing materials, brochures, website, patient reviews, stationary, staff uniforms etc. transferable to the new owner making your dental practice a turnkey solution for potential buyers. This is a very attractive proposition for any dentist wanting to buy an established practice in your town. If you are facing trouble coming up with a catchy name for your dental office, please try our practice name generator tool.